Robert here, I'd like to take you on a day-trip exploring Port Douglas and Cape Tribulation in Northeastern Australia and we'll throw in a delicious crocodile burger lunch. Let's start with the burger first and then I'll show you some of the beaches, creeks and scenery that my family and I love so much. 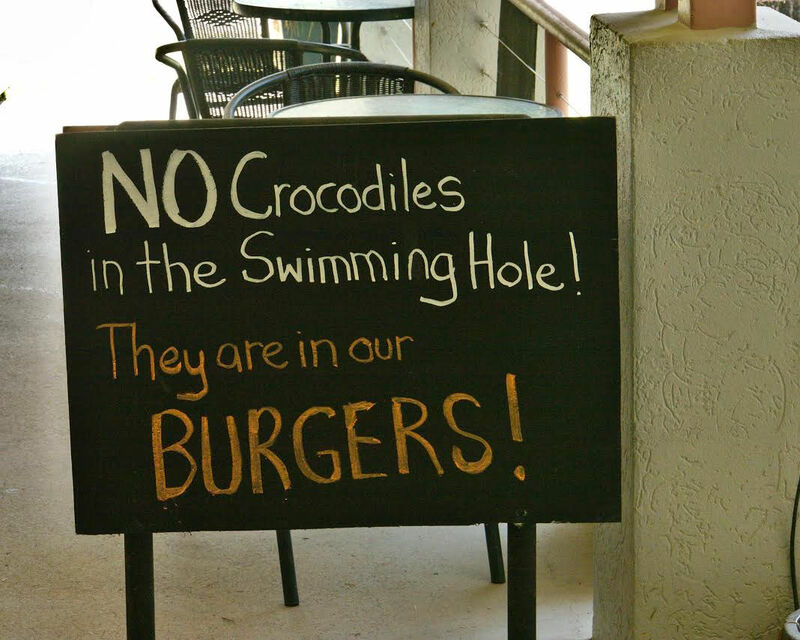 Crocodile Burger for you? No! Then why not try an emu burger? 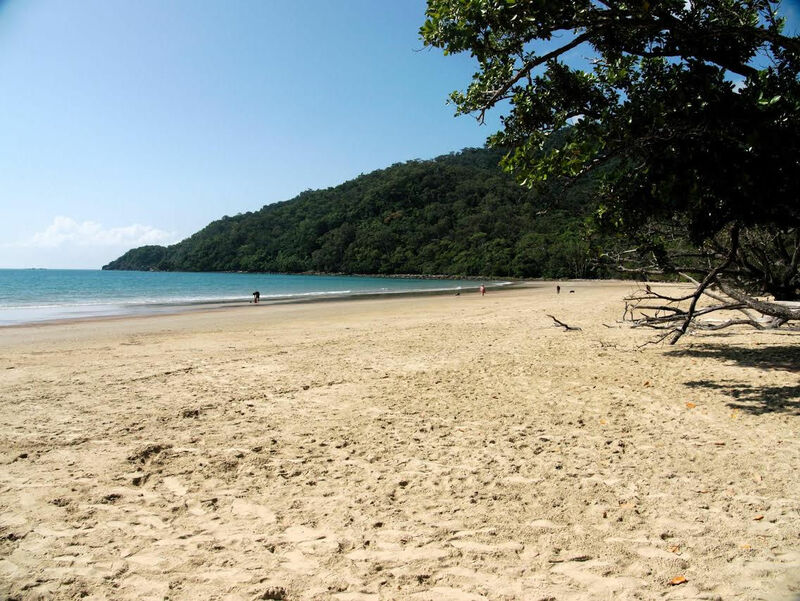 Cape Tribulation is about 100 kilometers north of Port Douglas, over the Diantree river which is crossed on a car ferry. 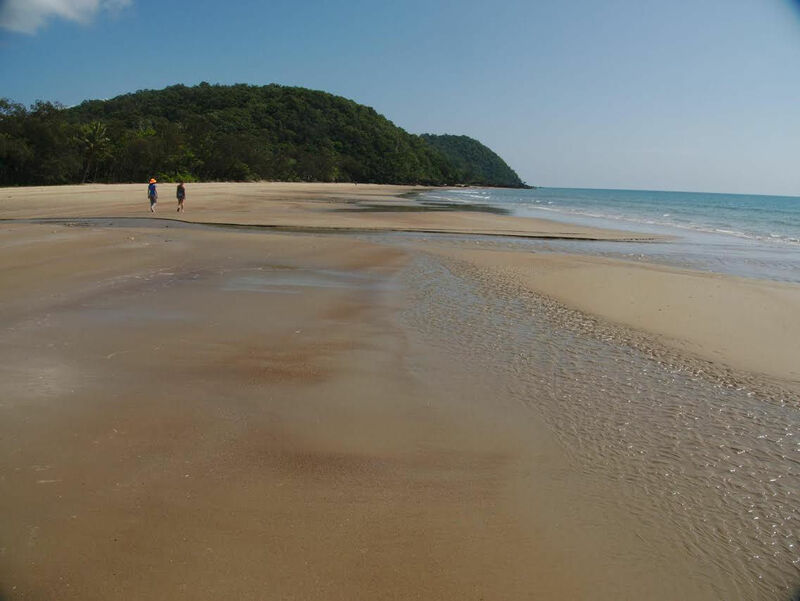 Beautiful forest and unspoiled beaches, a couple of small tea rooms on the way there - Mason's store which has a nice deck and serves cold drinks and crocodile burgers (also emu, wild boar,camel,...) and has a very nice swimming hole in the nearby river which is croc free. There is a famous ice cream shop and an insect museum, lots of eco-lodges, like the really excellent Coconut Beach House. 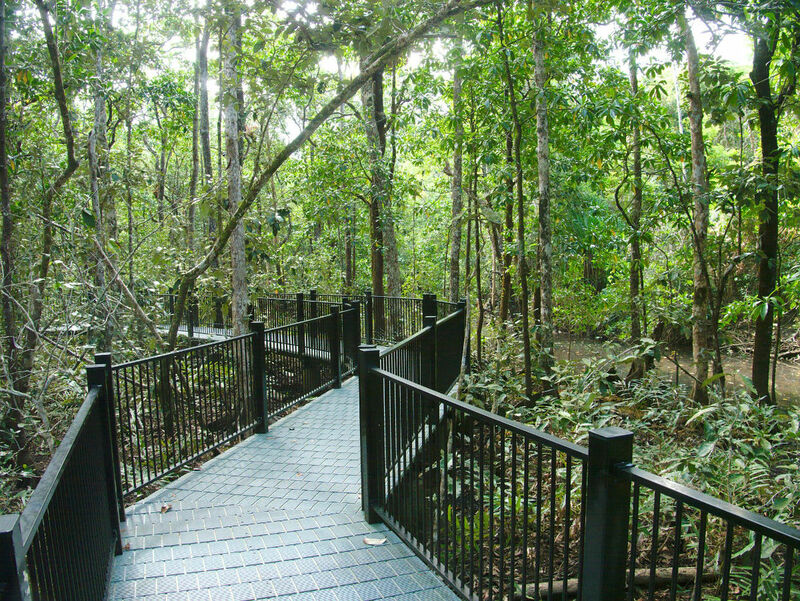 There is also a good boardwalk through the mangroves. 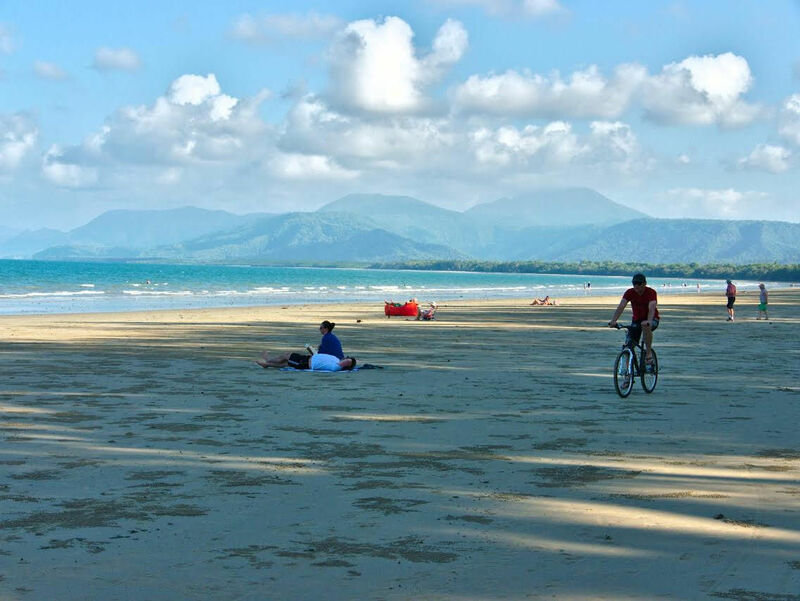 Port Douglas beach is a very unspoiled looking beach with a safe patrolled swimming area that is only a few minutes walk from the town. Most of the resorts and hotels, such as the Beachfront Terraces, are in the trees just behind the beach, but they have been careful not to destroy the look of the beach. The sea is pretty calm for swimming and about 26 degrees C. There is a small hill at the north end of the beach which makes a good lookout. 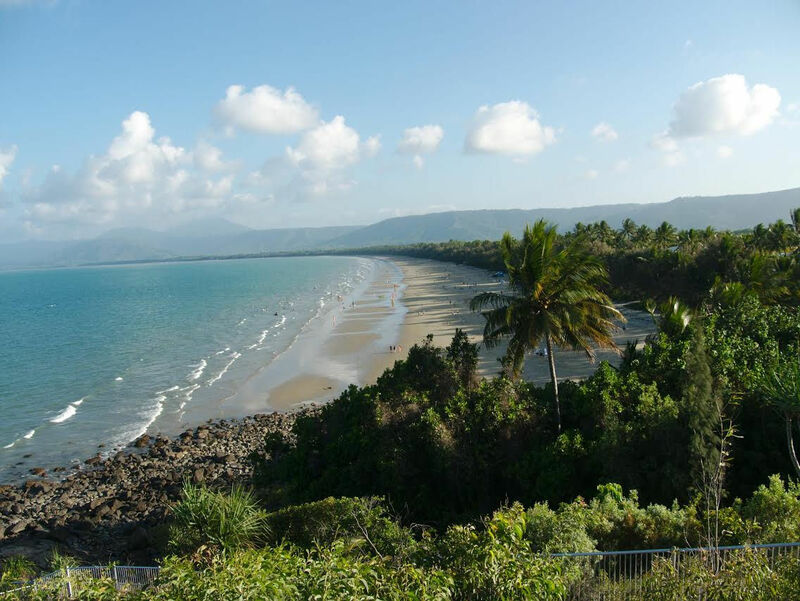 Take a trip out to Low Isle - which is an island off Port Douglas. 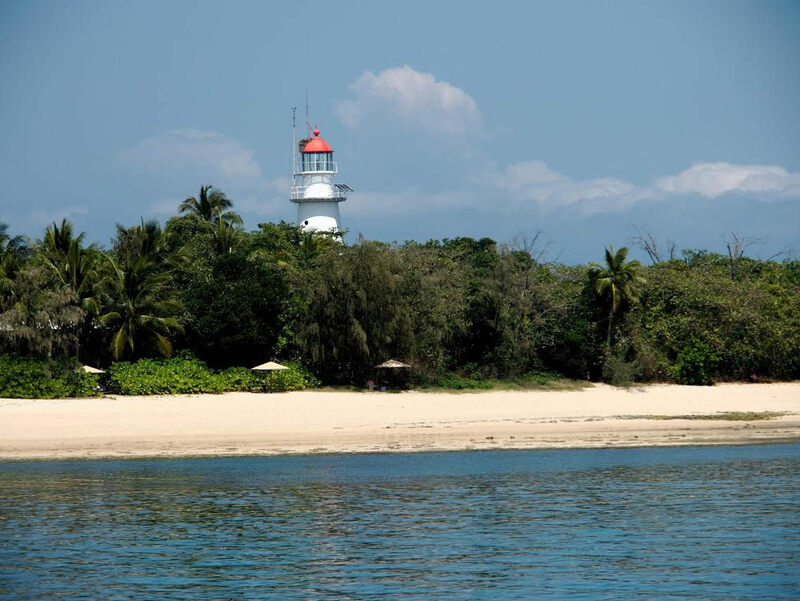 You'll love the has awesome snorkelling and scuba diving with really beautiful soft corals. 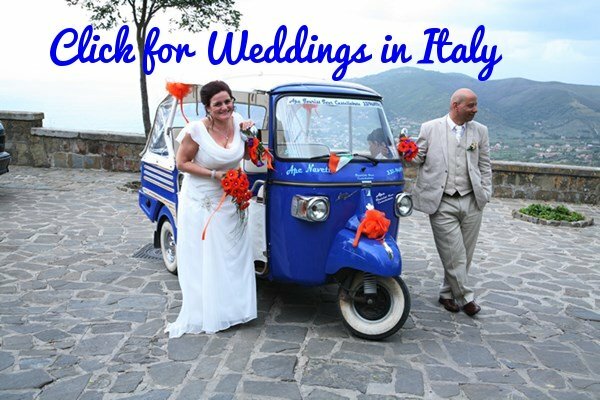 It is about 1 hour via boat. This is a beautiful river on which the town is built along with the marina at the lower end and parks on the waterfront where you can take a picnic and enjoy the sunset, or a number of restaurants with outdoor decks to enjoy the same. 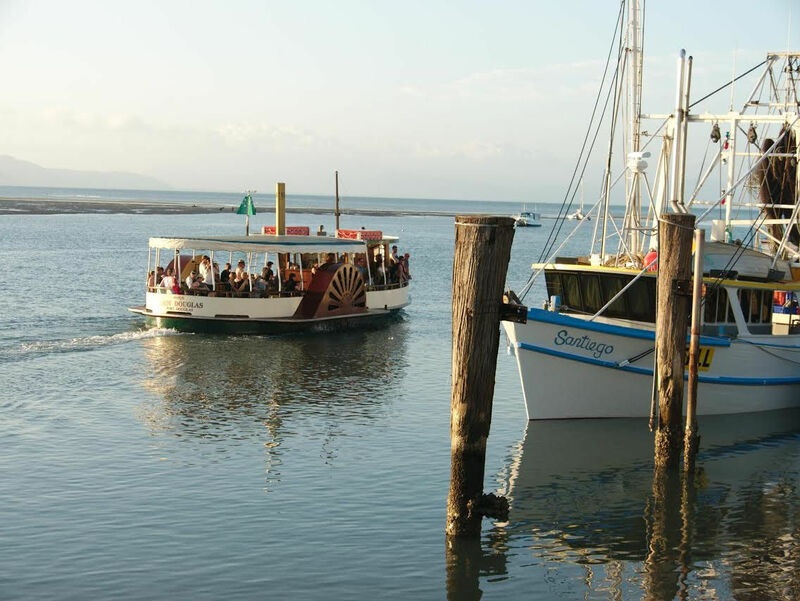 The marina is where all of the island and great barrier reef trips leave from. 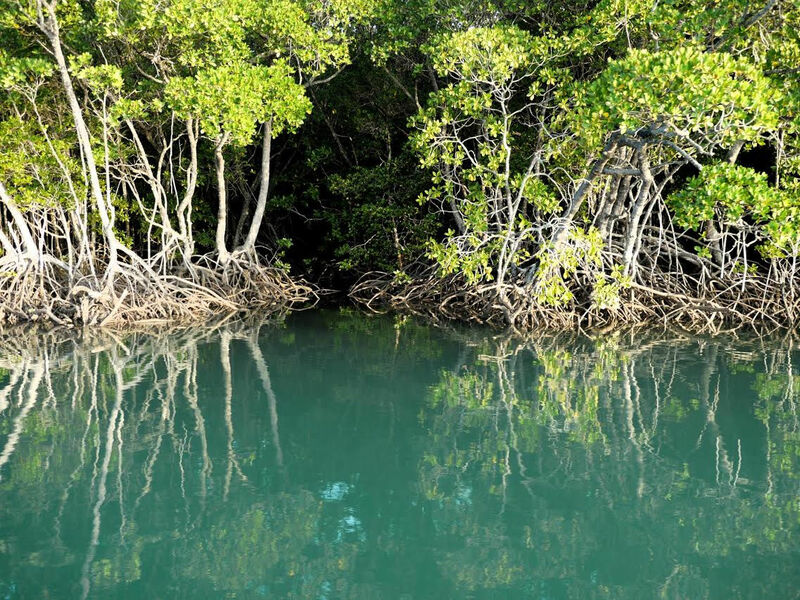 Further up it is lined with mangroves and very quiet and pristine. There are crocodiles and a lot of birds to see, and you can take either the paddle wheel cruise boat up the river, or (what we did) hire a little drive yourself runabout boat. This is a really good option as you can explore the little side creeks, stop to fish/lunch etc. We saw a couple of crocs. Side Creek - great place to see crocs.